Today is the big day. The hair appointment! This… ...is the picture I’ve been taking to my fabulous hair lady for the past four years. We usually come away with some form of bob. Sometimes wispy bangs, sometimes longer length, layers, no layers, sometimes lowlights instead of highlights. We went chocolaty brown last year, which was an awesome change! I used to color my own hair when I was poor and could barely afford the wierdos at Supercuts. My home dye-jobs were usually blonde and brassy and uneven. I’ve gone red a few times, too. But those were unintentional. You know the color of a shiny copper penny? That was me for a few months back in college. And there are a few occasion when I went dark. Really dark. Once, after a botched attempt to pull off a “Joey Potter“ (because, obviously, all I needed was brown hair and…voila! ), I left the dye on too long. My sister called me “Madam.” Nice. Thanks. I’ve got this conservative “lob” (long bob) now, and have had the same cut since January. 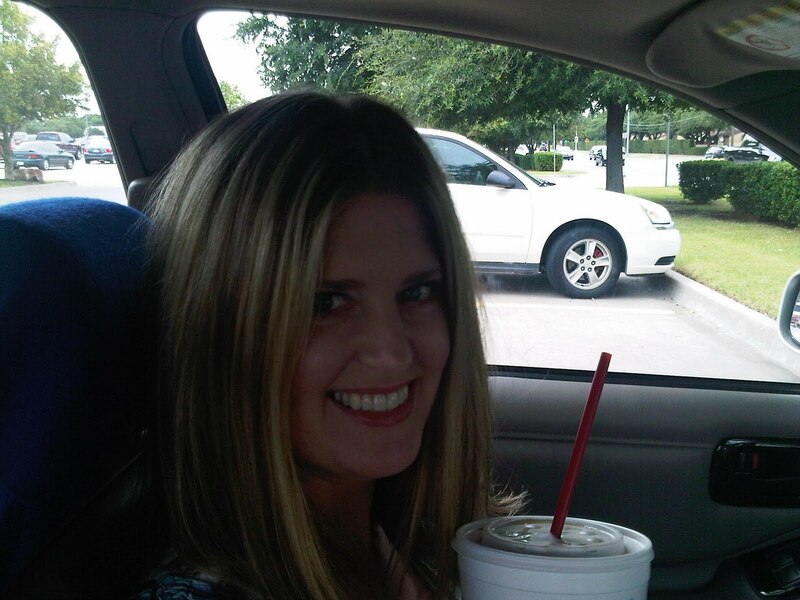 (This pic was taken yesterday at Sonic–simply commemorating the event of being at Sonic.) I think it’s time for a change. Nothing too drastic–I tried that last time, and fabulous hair lady took one look at the torn out magazine picture I presented and said, “No. No way.” She knows my hair, what will work and what I’ll end up hating…which is invaluable, by the way. She did give me two red racing stripes, however. And that’s pretty freaking rock star.